Fixing sprays like MAC Fix + spray or simple H2O help a great deal in the application process when sprayed directly on the brush. Have a tissue handy and place it under your eye when applying the pigments to catch the fallout. Use tape to remove any fallout from your under-eye area. Apply your primer and a sticky base. I used NYX white base because it's a primer and a sticky base in one. Using a flat, stiff eyeshadow brush and patting motions, apply the bright pink shadow all over your lid and slightly above the crease. 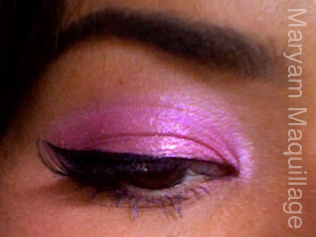 Using the same brush and technique, apply the second pink shadow to the edge of the first pink. Blend the two colors together to create dimension. 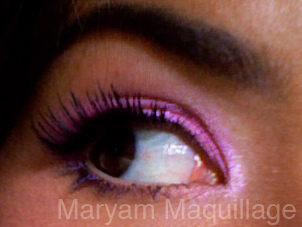 Apply the shimmery metallic shadow over the center of the lid and to the inner corner. Line the top lash line and wing out the liner. Line the outer third of the lower lash line and smear the line with your pinky for a bit of smokiness. Add half lashes / lash accents and mascara to your natural lashes. 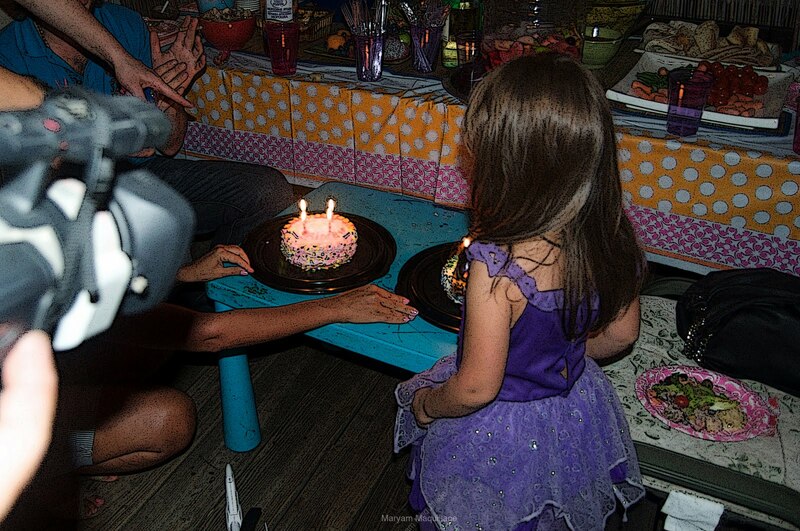 My sis Hani about to blow out her candles. This pic was kinda blurry and needed to be posterized. so cute, i love your make up! ooooh you have a baby sister & brother??? that is so amazing!!! i wish i had babies in the family too, i adore them!! I'm sorry, I can't help myself but ... BAWWWWWWWWWWWWWWWWWWWWWWWWW. This is so cute, from the makeup to the tiara to the party pics, just everything. Wish I could have seen the gown though, that sounds so fun! My boyfriend has significantly younger siblings too, it's such a trip hanging out with them. You're probably the best big sister ever. Love it! And if it were up to me, every day would be princess day! Awww your lil sis is sooo cute! Love the pink makeup :) --pink is the best! 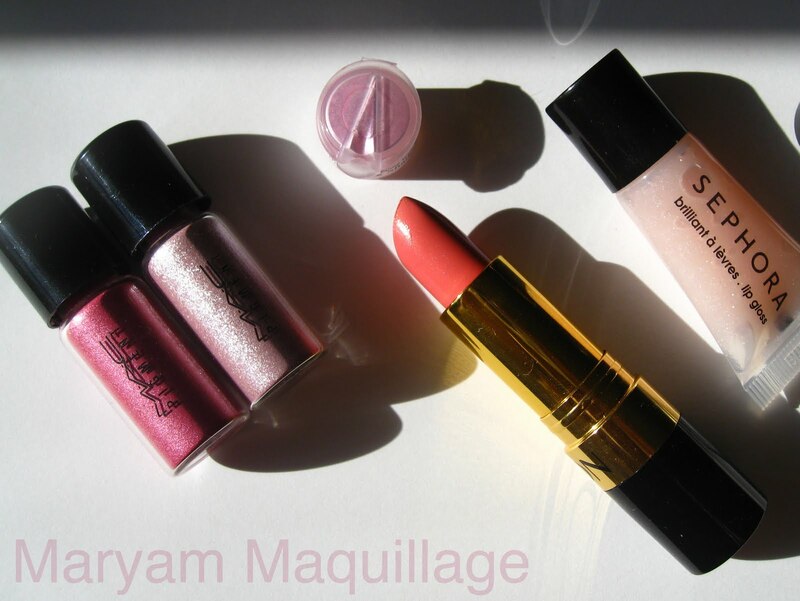 Maryam, thank you so much for your sweet sweet comments on my blog, especially the last post. I honestly appreciate it! You look so pretty in pink!!! LOVE the pics!!! Pinky gorgeous!! I love it!! it is a very cute party!!! OMG you are just stunning. Just drop dead gorgeous! PLEASE PLEASE join a modelling agency! Aaaw what a beautiful (pink) princess you are!! Love the look and your bro'sis are so cute! love all the different shades of pink, beautiful! Your siblings are just adorable!! 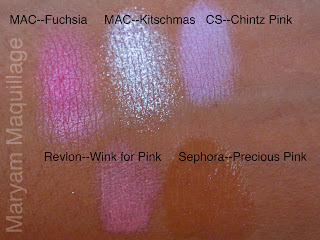 I adore the pink eyeshadow look, the Fuschia pigment is awesome with your skintone!! I have that pigment as well but it doesn't really pop on me like it does on you! I think you should do pink makeup more often, the colour really suits you!